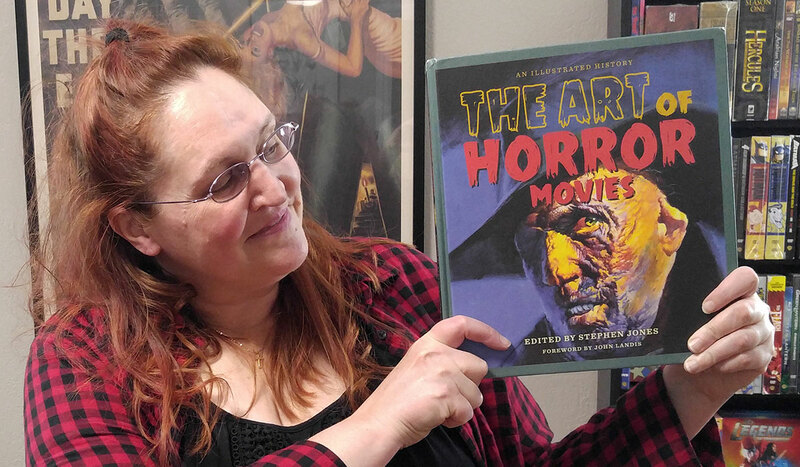 Focusing on imagery from horror film, The Art of Horror Movies is a companion to The Art of Horror, which I reviewed on March 7. This lovely coffee table book showcases the art of the macabre from the birth of film to present day. Organized primarily by decade, The Art of Horror Movies covers the development of the horror film from silent film through the present day. It is lushly illustrated with film posters, lobby cards, advertisements, promotional items, covers of tie-in books and magazines, and original art inspired by classic movies. I am often a chronological thinker, placing historical events and the happenings in the lives of people I encounter within the timeline of my own life. Therefore, I really appreciated that the chapters were organized by decade. I could go straight to the era of my birth, or the decade I graduated from High School, or any other time I cared to be immersed in the horror movie imagery of the time. I find it fascinating to see how film art has both evolved and stayed the same, as well. And, as a Bob Eggleton fan, I was pleased to see one of his Godzilla works given a two-page spread! My complaint from The Art of Horror about white type on a black background still stands. However, it did seem that there were fewer pages like this in this book, much to my eyes’ relief! There was a lot of original art, which is interesting, but sometimes it crowded out the historic images that I was truly seeking from this book. Since there are people who collect horror film posters and lobby cards, I’d love to see a sample chapter about collecting horror film art and how one might go about indulging in this hobby. This is a great addition to any horror film fan’s library. Richly illustrated and filled with wonderful tidbits of historical information, you can gain hours of pleasure simply — and slowly — flipping through the pages, reading the captions that catch your fancy.